The air fryer is quickly gaining popularity for the simplest reasons. We all have our cravings for potato chips, French fries, onion rings, and other deep-fried foods -- even fried okra. However, deep-frying food, even in the healthiest of oils, can potentially put your health at risk. Elevated cholesterol levels, weight gain, clogged arteries, and heart disease are all real dangers that can double when we overindulge ourselves with food boiled in fats or oils. What can you do? You want to eat healthier, but you don't want to give up your favorite fried foods and snacks. Fortunately, there's a solution to this dilemma in the form of the air fryer. An air fryer cooks your food by replacing the fats and oils with a steady, temperature-controlled flow of hot air, much like a convection oven. Note that in those recipes that do require a small amount of oil, it is significantly less than what is needed for conventional deep frying. Usually, it just uses a light spray of oil for crispness. Best of all, the air fryer cooks much faster than a convection oven, and they are far easier to clean. Many models also have accessories that allow for cooking some unexpected dishes. 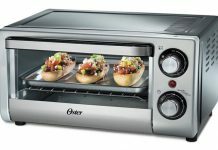 You can not only fry, but several models allow you to roast, bake, or just plain heat up almost any food you desire. 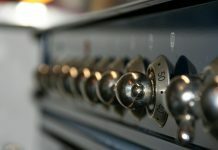 Some are as easy as setting the temperature and the time, while some have pre-set buttons for specific foods, and others have a more complex touchpad interface allowing for more specific cooking tasks. 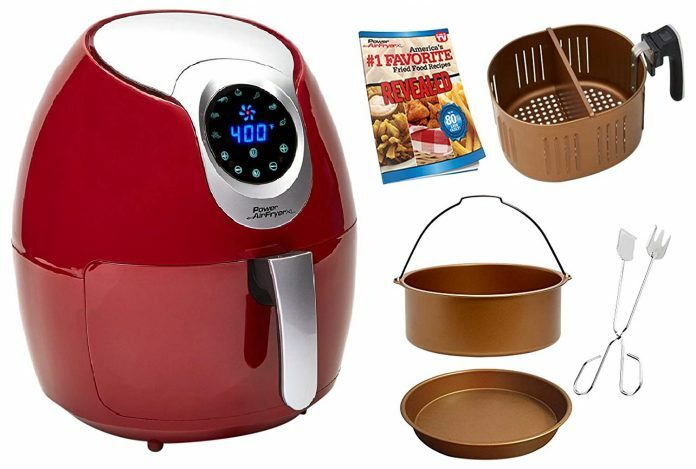 Most will include a recipe book and specific cooking information, helping you to successfully use your air fryer to make easy, traditional favorites or complex dishes right out of the box. Any time you add an appliance to your kitchen, whether in an efficiency apartment or large home, counter space will be a consideration. Air fryers are available in many different sizes, and your circumstances may dictate how large or small your air fryer should be. There are models as large as 5 quarts. However, if you haven’t got a large family to feed or the available counter space, you may elect to purchase a smaller model. Some versions solve this counter space issue by being taller and incorporating an internal racking system. And since they're not immersed together in oil, there is little taste transferred from one item to the other. The fry basket, because it comes into direct contact with the food, is the part that requires the most frequent and thorough cleaning. Fortunately, it's usually the easiest part to clean! Most models have a basket and a base (or drip tray) that are both detachable and dishwasher safe. This will save you both time and effort. Keep in mind as you look over this list that the purpose of each of these air fryers is to use hot air to fry your food instead of having to use oil. At the very least, they will permit you to use considerably less oil in your cooking. An air fryer must have the ability to make your food crisp and delicious without drying it out or burning it. You shouldn't reasonably expect any air fryer to produce fried foods that taste exactly the same as those you deep fry. They won't make your fried chicken taste “just like Mother used to make,” no matter how much you spend or how many options it has. With that in mind, it should still produce easy-to-cook and appetizing results consistently enough that it will become a regular fixture in your meals. It will almost certainly enhance your late-night snacking experience. Current air fryers also offer some exciting options previously unavailable to you. Let’s look at a few that are outstanding for various reasons. 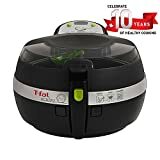 This Philips air fryer incorporates something called "TurboStar Technology," which keeps the hot air circulating in several directions. This feature brings the Avance up to temperature faster and cooks the food more evenly than traditional units. And it needs a minimum amount of oil if any. The Avance Air Fryer also has four pre-set options to cook the most common foods as easily as pressing a button or two. The convenient time feature lets you organize your cooking so that everything is ready at once. This model comes with dishwasher-safe basket and drip pan, making clean-up a breeze. An "EasyClick Handle" lets you switch quickly and cleanly between cooking accessories. Where typical air fryers use only hot air to cook your food, the Big Boss Oil-Less Air Fryer incorporates convection, infrared, and halogen heat to make your food crispy without using oil. In addition, the Big Boss can accept frozen foods without defrosting. The Big Boss has two cooking trays for stacking food, allowing you to cook two items at once. This not only makes the Big Boss faster, but it will also use less energy, which means savings for you on your electric bill. The controls consist of a simple-to-use time and temperature dials. It also has food icons displayed for quick reference. The HF-919b is a basic unit, but don’t be let the simplicity of the design put you off. It cooks fast and effectively using simple dial controls for both time and temperature. The basket and tray are sturdy and removable for easy, dishwasher-safe cleaning. Despite its design, or perhaps because of it, it is the easiest to use and faster to adapt to than far more expensive units that do basically the same thing. The 3-quart frying basket may not be big enough for a large dinner, but it is ideal for making quick snacks and side dishes. The Farberware HF-919b would be an ideal gift for a college dorm student or newly married couple. 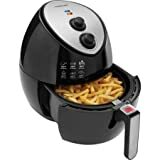 Every air fryer seems to have a unique special feature, and the FZ7002 is no exception. It boasts a patented “Heat Pulse System” that not only cooks your food more evenly but also helps make it crispier. An exact measuring spoon is included to assure minimum oil usage for the task at hand. It has an easily readable LED screen, and when your food is ready, a buzzer will sound to tell you it's time to dig in. There is no temperature control on this air fryer, and time is the only factor in cooking your meal. It's easy to learn and easier to use. The pan and basket are both dishwasher-safe, and the unit will stay cool to the touch even when in use. Another interesting feature is the built-in filter that keeps the aromas in and keeps your house from smelling like your snacks or meal. The GoWISE GW22621 makes up for its size by offering several options that the typical smaller unit doesn't have. The seven cooking options make it one of the easiest air fryer to use. Just load it up and go. The GoWISE GW22621 has powerful air circulation that cooks fast and evenly. Temperature ranges from 175 to 400 degrees Fahrenheit and can be set easily on the digital touchscreen. The cooking time ranges from one minute to 30 minutes, and the unit puts itself into standby mode once cooking is complete. This cute and compact air fryer is just the thing for small kitchens. Boasting AirCrisp™ technology, the air circulates rapidly for even cooking and crispier results. The 1.6-liter capacity isn’t huge, but just the right size for a side order of sweet potato fries. Cool-to-touch housing and the dishwasher-safe fryer basket make the Dash model a great starter model for kids, teens, and new cooks. Unlike the limited spectrum of air fryer options just a few short years ago, there is now no reason for you not to buy exactly the unit that fits your needs and budget. If you're just looking for something basic to make a small meal or cook your fries and onion rings, the Faberware HF-919b or the Big Boss Oil-Less Air Fryer are viable, modestly priced solutions. Each one is very successful at performing the task for which it was designed, quickly and with a minimum of input. You may be leaning toward using your air fryer as a more substantial kitchen tool for making your family meals. 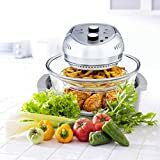 Under those circumstances, perhaps something larger and more versatile, like the Philips Avance Air Fryer or the T-fal Actifry will better suit your needs. 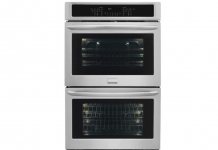 Each has a larger capacity cooking area, and each provides numerous pre-set cooking options. The price may be higher, but so is the versatility. Considering all the styles, options, and capabilities available, it may take you a bit longer to find your perfect unit than before. But, the extra time you spend comparing those options and capacities will be well worth the time and effort. In the end, you will have found a more perfect addition to your kitchen for yourself and your family. If you've already added air frying to your cooking repertoire, tells us which model you recommend. Share your favorite air fryer tips and recipes in the comments below!